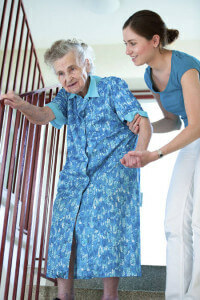 Cottage Caregivers, LLC is the ideal in-home care solution for seniors and recovering individuals. Our services allow you or your loved ones to maintain their independence and dignity by continuing to live in the comfort of their own homes, all while under the care and supervision of our compassionate caregivers. Our agency makes it our mission to provide professional, non-medical, in-home care for your dad, mom, or loved one on a schedule that works for you. Everything we do is customized, affordable, and allows individuals to maintain their unique autonomy in the environment where they feel the most at ease for true peace of mind. Cottage Caregivers recognizes certain illnesses and afflictions are more common to seniors. 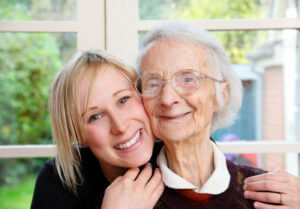 Therefore, we provide special training to our caregivers on communicating with persons who have Alzheimer’s and related Dementia, hearing loss and Aphasia, and more. This ensures a higher level of care for our clients and a better overall experience for all. If you need help finding a place for your mom, dad or loved one, opt for in-home care on the South Shore with Cottage Caregivers by calling us at 781-430-8599.